The image shown above will irritate you as you’ve seen it earlier while you were trying to upgrade your Windows to latest build or simply updating Windows 10. This happens in case of the error code 0x8007007e with the error message stating “Windows have encountered an unknown error” or “Failed to install the update. Please try again.” Now there are couple of major problems which can trigger 0x8007007e error due to which Windows update fails, few of them are 3rd party Anti-virus, corrupt Registry, corrupted system file etc. But now you can be sure that this is the last time you’re going to get irritated as we’ve got it covered for you. Now without further delay, let’s see what are the methods which can help us get rid of the 0x8007007e error. Sometimes 0x8007007e error is caused by damaged .NET Framework on your PC and installing or re-installing it to the latest version can fix the issue. Anyway, there is no harm in trying and it will only update your PC to latest .NET Framework. Just go this link and download the .NET Framework 4.7, then install it. 5.Reboot your PC to save changes and check if you are able to Fix Windows Update Error 0x8007007e. Select Next to start the troubleshooter, and follow the steps to identify and fix any problems. After the troubleshooter finishes, try running Windows Update again. Select the Start button, and then select Settings> Update & security > Windows Update > Check for updates, and then install any available updates. 1. Press Windows Key + X then select Command Prompt (Admin). 9. Install the latest Windows Update Agent. Right click the antivirus icon in the system tray (on the right bottom corner) and select Disable. If that doesn’t work, double click the antivirus icon. Select the Disable option from the pop up. Now try to upgrade and see if the issue is still there. Note: Having an antivirus is important as it protects your computer from threats. Do not forget to enable your antivirus after you are finished upgrading the Windows. 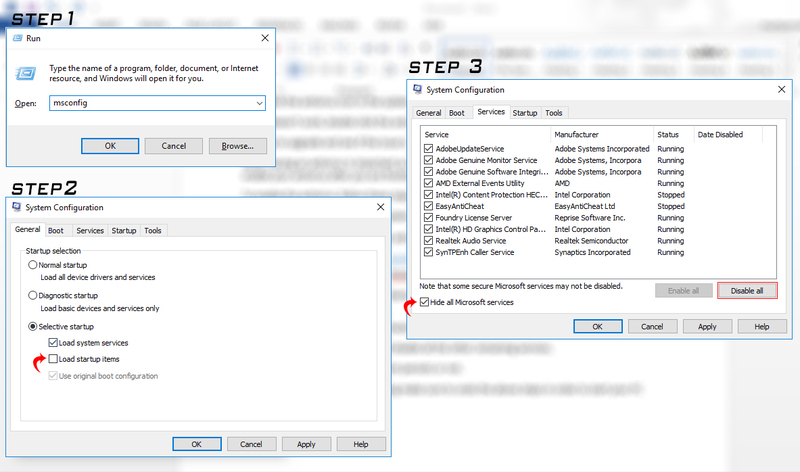 Right click the antivirus icon in the system tray (on the right bottom corner) and select Enable. If that doesn’t work, double click the antivirus icon. Select the Enable option from the pop up. Press Windows Key + R then type msconfig and hit enter to System Configuration. On General tab, choose Selective Startupand under it, make sure the option “load startup items” is unchecked. Next, click Disable all which would disable all the other remaining services. Restart your PC check if the problem persists or not. After you had finish troubleshooting make sure to undo the above steps in order to start your PC normally.